And the part count of this thing would make the part count of the super star destroyer look like a polybag set. My girlfriend and I have been following your Hospital build videos for several months now. It is great to see it done! You even inspired me to do a MOC hospital (although mine is a mini-modular). 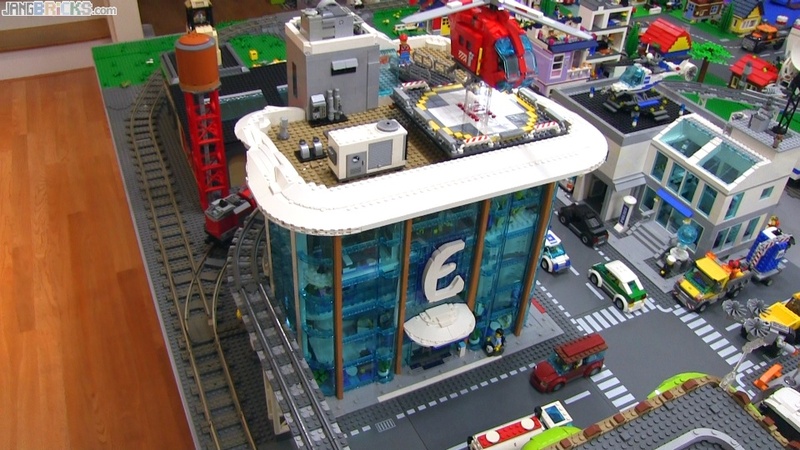 Hey Jangbricks, I love most of your videos that you did in New Jang City. What made you to do lego videos? hello jangbricks my name is owen(age 9) I am am a big fan and I also make MOCS to,every day in fact(although since I have little room in my house,I have to break them.One of my personal favorites is my custom corner store. I am a big fan of yours.I build MOCS to,every day in fact(although I have to break them cause I don't have much room)My personal favorite is my custom corner store.